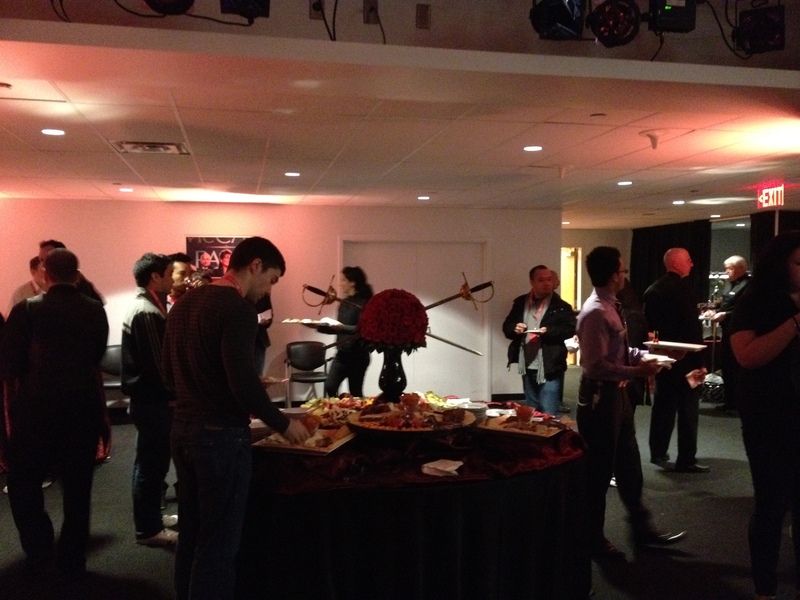 Last night I watched the season two premiere of Game of Thrones at Rogers as a VIP! It was by text invitation only (I actually didn’t get the text but signed my boyfriend and I up after he got the message). And while I have been known to criticize Rogers, I applaud them for a great event, especially being the first one they have done in what is gone to be a series. The food was fantastic! I’m talking prime rib, Kobe beef skewers, sweet potatoe fries, cheese, crackers, lamb, chicken and an open bar! There were also prizes and great swag bags. I have to say I did feel the love and will certainly be back if they invite me. from the competition! My only two two pieces of mail. 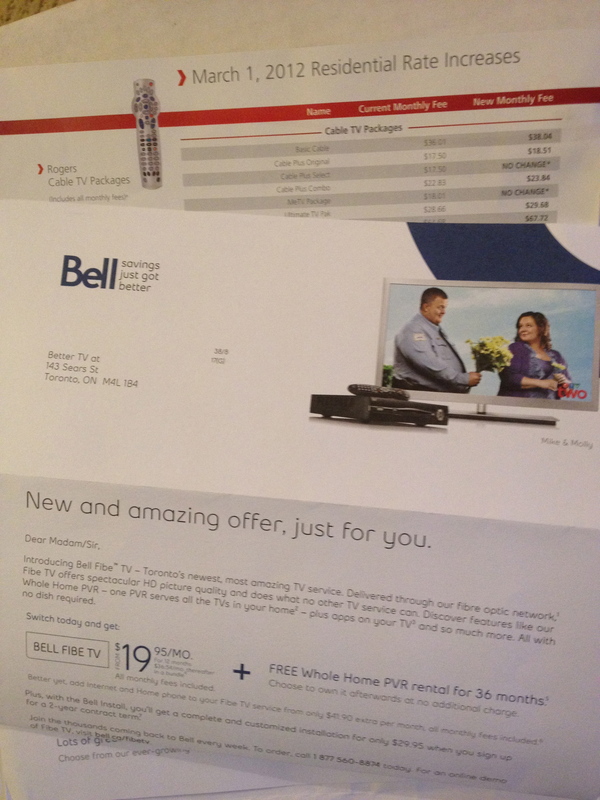 With an increase in my basic service and the rental of my PVR I would now be paying $60 a month. I just don’t feel like I am getting that out of this relationship, so I picked up the phone and dumped my cable. My cable tried to save the relationship saying it could do better, asking if there was someone else. I told it ‘no, there isn’t anyone else’ since I have no intentions of entering a relationship with another provider and promised to return it’s things soon. I hope that we will be happier without each other! I know I will be a tiny bit wealthier each month… who knows some day we may reunite but I am gonna give it a try on my own.